The multi-band portable landscape has changed considerably in the years since I first reviewed the Grundig Satelli 750/Tecsun S-2000. Since this radio remains the flagship model of both of those manufacturers offerings it seemed worthwhile to obtain a new sample from the latest production and to compare it against other currently available models. I had tried an early sample when it was first released and a later sample a few years later. I loved the radio’s looks and ergonomics but had concerns with several idiosyncratic aspects of its performance. However many posters to various newsgroups indicated that these early problems had been resolved so I decided to take a look at a later sample. A quick look at eham.net reviews revealed that most owners rate it 4 or 5 out of 5 stars while some rate it a 1 or a 2. In February 2017 I requested and was graciously sent a new review sample, this time of the Tecsun S-2000 version from the good folks of Tecsun, Australia, and I thank them for making this updated review possible. 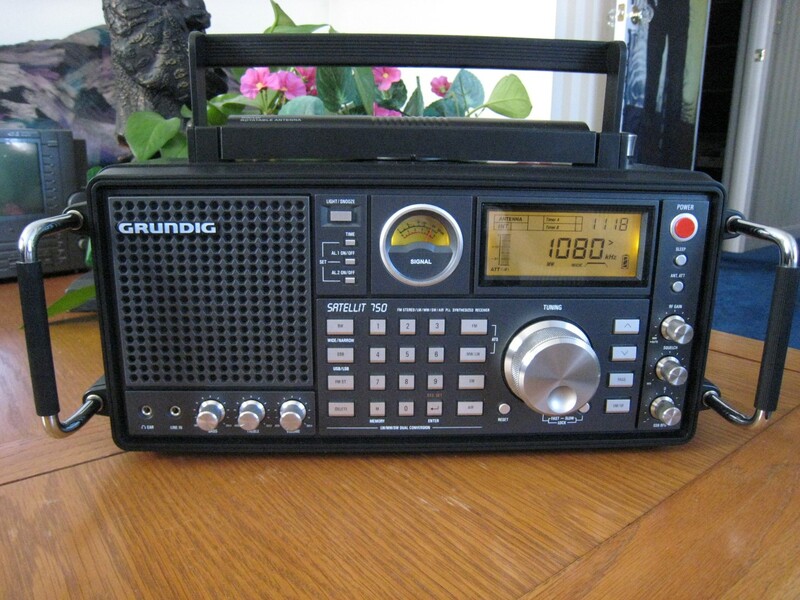 Features: The Grundig Satellit 750/Tecsun S-2000 has an impressive lineage. The most recent top of the line model from Eton was the Eton E1, and before that the Grundig Satellit 800. The Satellit 750 is admittedly a less ambitious radio – the US version now lists for $350 compared with $500 for its two predecessors, and is generally available for around $275. It also lacks some features of those previous models such as synchronous detection, passband tuning and selectable Fast/Slow AGC. However it does have unusually flexible antenna input facilities, Dual bandwidths in AM/SW/LW and FM, SSB, Air Band and a rotating ferrite rod antenna on the top of the unit. 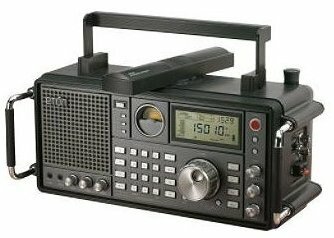 It offers 1000 station memories, Auto Tuning Storage (ATS) for AM and FM, dual alarm clocks, a variable RF Gain control, three position input attenuator, a squelch control and the ability to defeat the built-in antennas when using external antennas for all bands except the Air Band. The Tecsun version offers the same performance but with the addition of in IF output for an outboard DRM or other adapter. In addition the AC power supply is built-in rather than via an external wall-wart, although I’m not sure it is available in a 120 volt version…the version I got is designed for 220 volts only but does have the same DC input jack as on the Grundig version. 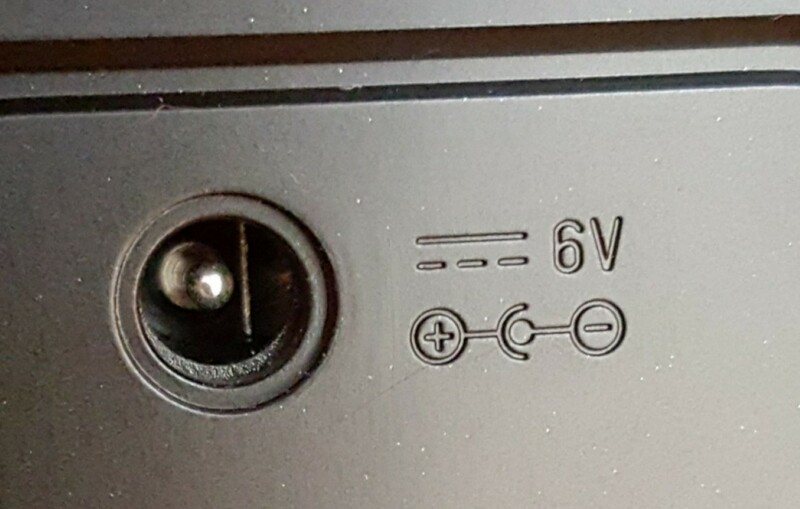 Be aware that this jack is center pin negative…the power requirement is spec’d at 6 volts 350 ma. One interesting oddity is that the line cord storage compartment on the back panel is empty on the Grundig…the owner’s manual states that you can use it for anything you want…one idea might be to store earbuds. First Impressions: Performance issues aside for the moment I’ve got to say that the Satellit 750 is an irresistibly cute radio. Pictures don’t do it justice because they don’t capture the fact that in person the radio appears to be a scaled down version of the earlier and much larger Satellit 800 and much earlier Satellit 600/650. The radio is just lots of fun to use and is one of the radios that even non-radio people seem to comment on when they first see it. It is easy to use with no extra button presses needed during direct tuning with the keypad. The rotating ferrite AM antenna is a feature I wish more radios offered, the tuning knob is easy to spin with a fingertip and the dedicated Fast/Slow tuning speed button is easier to use than the auto tuning speed feature on many recent radios which seem to never know whether I want to tune fast or slow at any given moment. You can disconnect the internal antennas on all bands except Air and there’s even a choice of high or low impedance antenna inputs for SW, a relative rarity and something even the Eton E1 didn’t offer. You can also use an external antenna for AM which many portables don’t allow these days and the ability to disconnect the built-in ferrite antenna is one which I think more radios should offer. SSB is easy to tune with Upper/Lower Sideband modes switch selectable and a variable BFO clarifier control, and the variable RF gain control and attenuator help further. Unit To Unit Variations: When I first evaluated this radio in 2012 I was disappointed that it showed significant tuning asymmetry and that this varied between Wide and Narrow bandwidths. I found that stations were center-tuned when the displayed frequency indicated 2-3 KHz high…in other words, WWV at 15,000 KHz came in best when the displayed showed 15,003. An AM station at 880KHz came in best at 883 etc. I was able to see three units and they were all pretty much the same. I looked at a later sample in 2014 or 2015 and was happy to find that the tuning offset and asymmetry problems I saw on those earlier units had seemingly been corrected. Stations were centered when the exact frequency was displayed, and the fall-off in reception was about equal both above and below the target frequency. This allows equal selectivity against signals above and below the desired frequency – a big improvement. However this newest sample is like the original ones…tuning offset is approximately 3 KHz across the board in Wide mode but much closer in Narrow mode. To be sure this does not affect reception as long as you are aware of it but it is an annoyance. Since many posters to various web sites note their radios exhibit this discrepancy while others do not it seems apparent that we are not seeing changes in production over time as much as simple unit-to-unit variations. It is hard to say whether this is the result of haphazard alignment at the factory or if certain components (possibly in the IF) have specs which are loose enough to allow for these variations. It is worthwhile to note that many modern portables from several manufacturers exhibit this phenomenon to some degree but the usual variation is more like 1 KHz rather than 3. 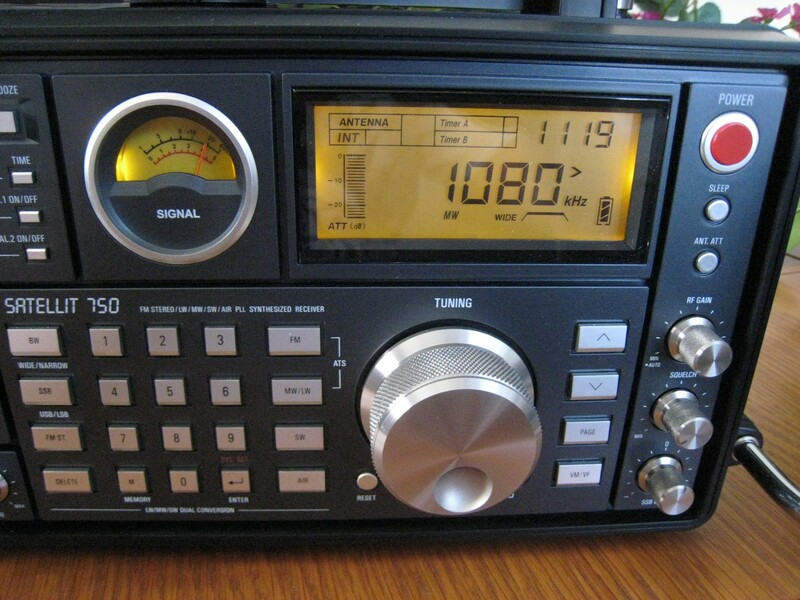 Digititus on AM: Many modern DSP radios reveal spurious tones and noises on the AM band. Early samples of the SAT750/S-2000 revealed some of this digititus although it was generally not very bothersome…I’m happy to say that my latest sample showed none of this problem. Good! Another issue is noisy contacts associated with the rotating ferrite rod. Again many uses report this problem while some do not. I have seen several samples with this issue while my latest sample so far is perfectly quiet. Tinkerers can clean those contacts if their radios develop this noise but the trick is that some of these antennas can be pulled right out while some have a retaining clip which must be removed from the inside first so take care and if it does not pull out relatively easily look inside before you damage your unit. Performance: As I said at the top, the current market of multi-band portables has changed considerably in the past several years, no doubt spurred by the undeniable decrease in SW broadcasts themselves. Gone are the deluxe $500 combination portable/desktop radios such as the Eton E1 and Grundig Satellit 800. 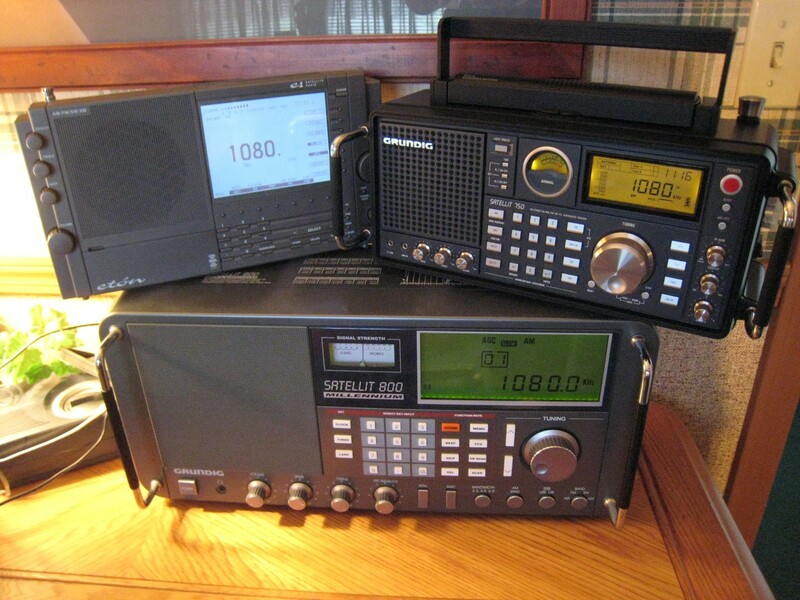 It appears that true desktop radios which once sold for $500 – $1000 and higher gone as well. 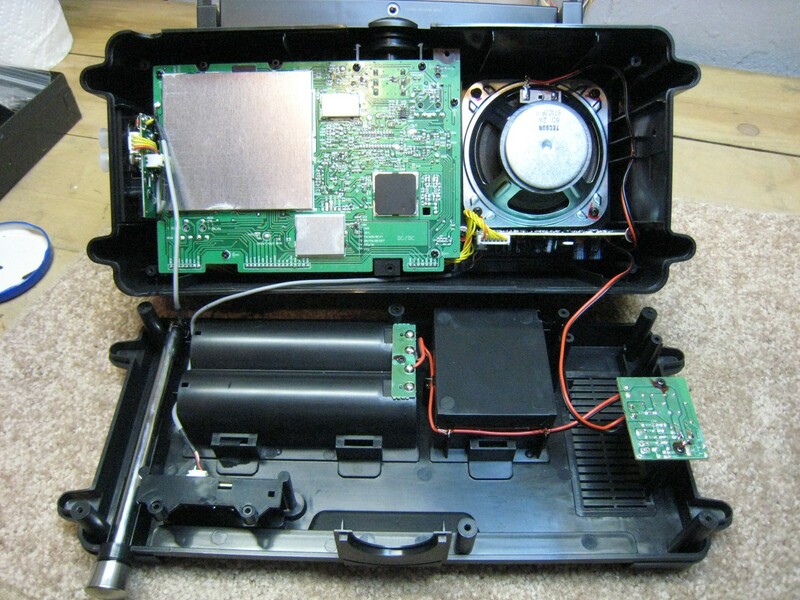 What we are left with are a few extremely expensive, laboratory grade instruments, SDR’s – software-defined-radios, which are actually computer accessories and true portables in the dirt-cheap to $300 price range. This includes the radio we are evaluating here as well as other models from Tecsun, Sangean, Eton/Grundig, Degen and C. Crane. 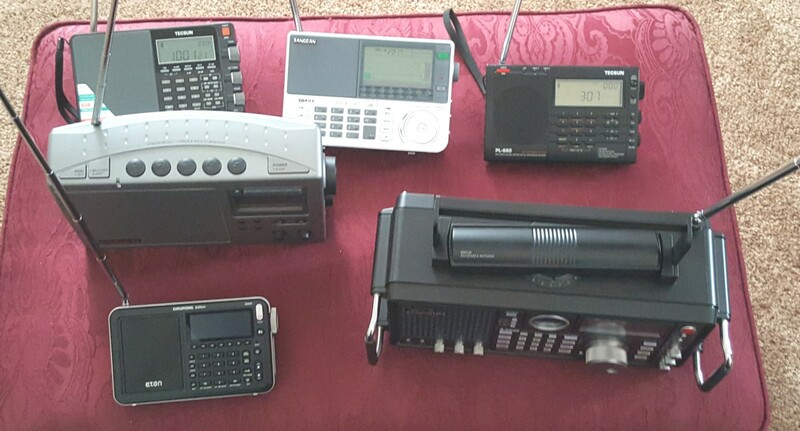 In this context I decided to re-evaluate the Satellit 750/S-2000 as it compares with these radios rather than against some of the admittedly more refined receivers of the past…it seems more relevant to today’s buyer. In these latest tests the SAT 750/S-2000 acquitted itself admirably but its best performance cannot be gotten unless you realize a few things about the 750/S-2000’s characteristics. One is its unusual tuning behavior which I had outlined back in 2012 and which I have seen in every sample of this model. Normally as you tune across an AM or SW signal, the signal level starts out low, then gradually increases to a peak, then falls off as you continue tuning past the station. In addition, right at that peak the signal usually sounds best…long time AM/SW users instinctively know the sound of a properly tuned signal. However the 750/S-2000 does not tune like this. As you tune across a signal the level starts out low then rises, falls, rises, falls etc. with several peaks. In one example tuning to 880 KHz the signal may peak at 878, 880, 882 with dips in between at 879, 881 and 883. In addition it is often difficult to tell which peak is the best one. 882 may sound stronger and clearer than 880 for example, and this may be different in Wide bandwidth mode than in Narrow mode. My methodology is tune for best sound – with my 2015 sample that happened to be at 880 KHz but with this latest sample it happens to sound best at 883. It is also worth noting that due to variations from sample to sample, you may find that the optimum tuning point will be different in Wide than in Narrow mode. It drives me crazy but a least I know how to get the best reception possible. Another oddity is the characteristic of the IF filters. The Wide Filter is extremely wide and should only be used for very strong clear signals…the Narrow filter seemed to give the best results for almost all of my listening and I consider Narrow to be the normal setting. The same is true on FM – the wide setting is so wide that FM stations bleed over to adjacent frequencies excessively…FM performance most closely matches other radios in the Narrow setting. Once you are aware of these idiosyncrasies you can begin to get the best out of your SAT 750/S-2000. Caveats aside I’m happy to report that the SAT 750/S-2000 performed well compared with the currently-available smaller radios mentioned above. After extensive comparisons it was apparent that it was at least as sensitive on SW as any of the smaller portables, sometimes even a bit better. It also offers that desktop experience where you sit in front of the radio and can easily twirl the tuning knob with a fingertip. The mechanical signal strength meter is another advantage over the other portables – it makes fine tuning or aiming much easier. 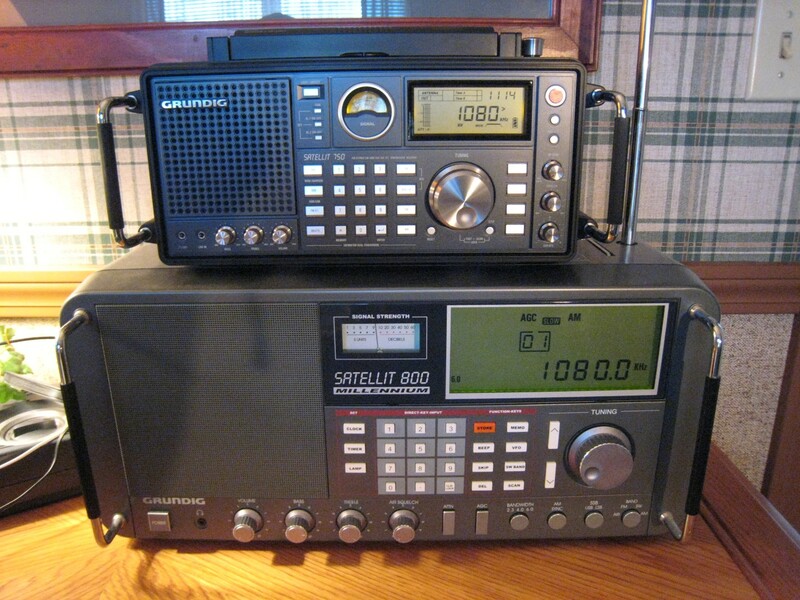 In these ways the SAT 750/S-2000 provides an experience distinctly different than the smaller radios. On AM it was approximately equal to the other Tecsuns and the Sangean ATS-909X, although the small Eton Satellit had a distinctly lower noise floor and resultant greater sensitivity. On FM I again found that the Narrow bandwidth setting was the one to use in almost all situations…the Wide setting was extremely wide, giving selectivity far below what the other portables offered – in Narrow it was normal. I would describe the FM reception as very good but not quite as selective as the most recent DSP-equipped portables which are phenomenally selective. The SAT 750/S-2000 seems well-designed to make the best use of external antennas. I mentioned its unusually flexible antenna facilities and I I also found that is performed very well with external antennas on both AM and SW. 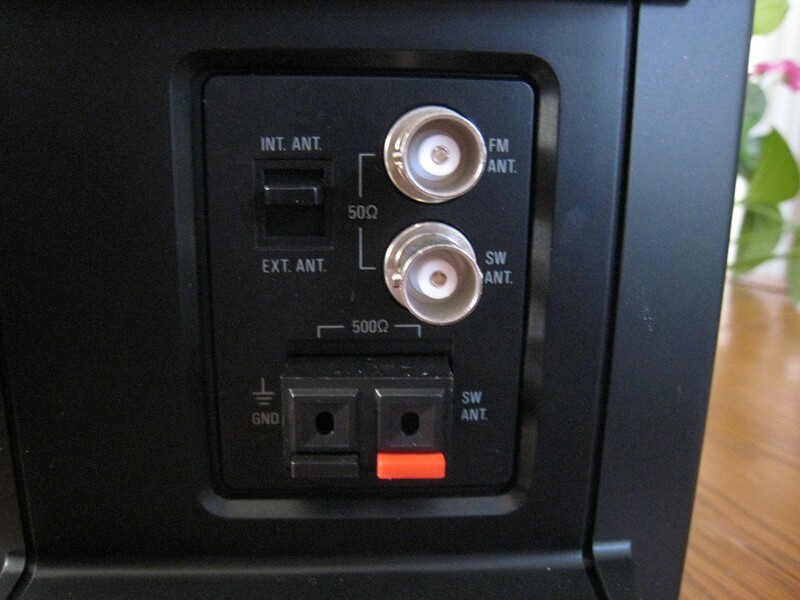 Note that the only other radio in this group that allows the direct connection of an external antenna for AM is the Sangean ATS-909X…the antenna jack does not work for AM on the other Tecsuns or the Eton Satellit. I used a Wellbrook ALA-330S, a random wire and several AM loops. It almost seemed like a different radio…it was very sensitive compared with other good radios on the same antennas. The three-step attenuator and variable RF gain control were useful in controlling strong signals from these external antennas, especially at night. The 750 also acquitted itself very well on SSB…it seemed rock stable, never drifting noticeably during any of my tests. Sound Quality: The SAT 750 is a pleasant sounding radio…on its own it sounds satisfying and has no serious flaws. It was upstaged by the much more powerful and wide-range audio of the RP-2100/CC- Radio-SW, GE SR’s and CC-2E, but really, it’s not bad. One oddity is the bass control…it seems to affect volume more than bass because it is also controlling a higher range of frequencies than a typical bass control…hence the unusual affect. However it does effect the bass somewhat…if you compensate with the volume control as you rotate it you will hear it. Conclusion: I have occasionally been accused of only writing positive reviews. Indeed the majority of my reviews are positive. The reason is that I have to buy most of the products I review so I tend to buy ones I expect will be to my liking. Also, when confronted by a product that is not to my liking, I usually won’t bother to take the time to write it up…writing and posting a review like this one, along with accompanying pictures and research takes many hours of work. Because of this, when I first bought a Satellit 750 I was so unhappy with it that I returned it and did not write a review of it. But so many people in various newsgroups have asked why I have not reviewed Eton/Tecsun’s current flagship model that I felt compelled to try a new sample. Several told me the tuning anomalies I described did not exist in their newer samples and that they felt the SAT 750/S-2000 had an extremely low noise floor on AM and SW.
What I have found after owning and comparing many samples of this radio is that the basic performance is quite good, the only exception being the tuning oddities which do still seem to vary sample to sample. Nevertheless the SAT 750/S-2000 competes very well with contemporary portables and its fun factor is high…I love the looks and feel of the radio. I still wish Tecsun would refine the IF design to make it more typical but all in all the radio will bring you all the SW you can hear with any other modern portable with its whip antenna and it is unusually well suited for use with external antennas, and is the only small desktop-style world band portable currently available. Readers outside the US can get a great deal from Tecsun Australia – see the S-2000 here.